Northside Power offers The Fortress by Briggs & Stratton. 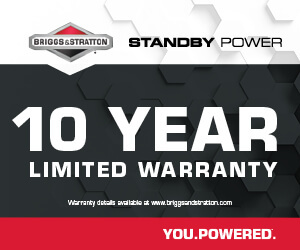 The Fortress: this dealer-exclusive line of standby generator offers premium protection, including a 10-year parts, labor, and travel limited warranty, the longest in the industry. The Fortress is also equipped with an oil warmer to help aid in cold weather starting when temperatures fall below 30 degrees. The Symphony II power management technology is included with the new Fortress line as well. So don’t wait; now is the time to contact us so we can help you beat the next power outage. Contact us so we can help you beat the next power outage.